Huawei p10 was launched in February 2017. 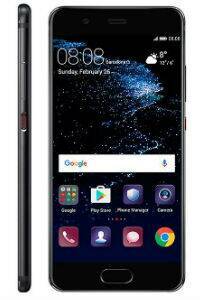 Huawei p10 plus features a 5.1-inch Full HD display with 1920×1080 pixel resolution (432 ppi). Huawei p10 comes with 4GB RAM and the 64GB storage version is powered by an octa-core HiSilicon Kirin 960 processor. Huawei p10 runs with Android 7.0. Huawei p10 features a 20-megapixel rear camera with Monochrome + 12 MP sensors, f/1.8 aperture, OIS, dual tone LED Flash. The rear video camera records 4k and the camera offers PDAF, CAF, Laser Depth Auto Focus, 2x Hybrid Zoom and a Leica lens. The camera can automatically switch to wide-angle shots and offer superior low-light photography. The front camera is 8-megapixel. Huawei p10 has a non-removable 3200mAh battery. The Huawei p10 has a fingerprint sensor, G-Sensor, Gyroscope Sensor, Compass, Ambient Light Sensor, Proximity Sensor and Hall Sensor. Connectivity options include are WiFi 802.11ac/a/b/g/n, Bluetooth 4.2. The Huawei p10’s dimensions are 145.3 x 69.3 x 6.98 mm. Huawei p10 comes in seven colour options: Ceramic White, Dazzling Blue, Dazzling Gold, Graphite Black, Mystic Silver, Rose Gold and Greenery colour. Huawei p10 plus is priced at Rs 45,676. Huawei p10 will be available in one version in India.